LEAGUE SPONSOR for specific age group (4/5, 6/7, 8, 9/10, 11/12, 13-15): $3,500. Company logo on all age group jerseys. 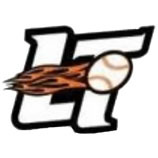 Company logo and hyperlink on LTRC Baseball homepage. Company promotion on LTRC Baseball website and social media. League sponsors throw out the first pitch at All-Star Day.